The average price for this game in the past 6 months is $7.43. The game first became 50% off on Oct 11, 2013 at NewEgg. Lowest historic price was $6.07 on Jul 23, 2018 at Green Man Gaming. 24-hours only, Borderlands 2 GOTY is even cheaper thanks to it being a Star Deal at Fanatical. Steam key. It comes with ALMOST everything but at this point we think you'll get plenty out of the game at the $7.49 price tag. Perfect for those who missed the deal at GMG earlier this month. The standard discount for Borderlands 2: Game of the Year Edition is 75% off with a drop to $10. That's a good price to pick it up at, but a great price just emerged as a flash deal in GMG's Summer Sale. Now only $7.48 after coupon. Lowest price it's been in months. Not quite cheapest ever, but right around there. Today the Borderlands 2: Game of the Year Edition is down to $12 at DLgamer. Include the base game and all the important DLCs/expansions with just a few minor ones missing like the Ultimate Vault Hunter pack 2. Bundle Stars is now an authorized 2K games seller and now selling Borderlands 2 GOTY at a a 75% discount. More 2K Games deals expected later this week. If you missed last week's drop under $9 for the Borderlands 2: Game of the Year Edition at GMG it's back at the Mac Game Store for $8.80. Rare 78% off the $40 MSRP. The average price for this game in the past 6 months is $6.24. The game first became 50% off on Dec 26, 2011 at Amazon. Lowest historic price was $3.74 on Jan 14, 2014 at GameFly. Now on sale at Gamefly for $7.49, using coupon brings it down to $5.99. The DRM through Gamesrocket for Borderlands GOTY is NOT Steam. I prefer to use Steam to manage all my games/updates, but the activation codes I received after purchasing do NOT work in Steam. The original Borderlands GOTY is only six bucks from the Germany based PC download retailer GamesRocket. Ties the all time low last seen in May. Elsewhere $25 and up. Borderland's excellent GOTY edition is now back at lowest ever price thanks to today's deal from GMG stacking with coupon. Activates on Steam. If you've never played the game and wonder what the fuss is all about for BL1 and BL2, give this a try. Great tip Adam, thanks. Updated! The average price for this game in the past 6 months is $4.39. The game first became 50% off on Feb 14, 2013 at NewEgg. Lowest historic price was $3.75 on Mar 19, 2018 at Green Man Gaming. Just in case you're wondering, the Mechromancer DLC is not included in the Season Pass. The Season Pass gives you these campaign DLCs: Captain Scarlett, Big Game Hunt, Mr. Torgue's Campaign of Carnage, Tiny Tina's Assault on Dragon Keep AND the Ultimate Vault Hunter Upgrade Pack. The average price for this game since released is $17.64. The game first became 50% off on Dec 27, 2012 at Green Man Gaming. Lowest historic price was $6 on Jun 17, 2016 at Green Man Gaming. Rarely on sale, Borderlands 2 Season Pass is 66% off at Mac Game Store. Before you ask, yes, its a SteamPlay key. Yes, its cross platform. Yes, it's confirmed to work on PC. Rare deal for Borderlands 2 Season Pass. Its been out for well over a year but its only been on sale for a few times. New lowest price. Perfect if you want more BL2 without buying each DLC piece meal. It would be nice if you could include any available info whether the deals apply only to US customers, or whatever region it is in question. Lots of people outside US or UK are wanting to buy games for cheap, I had my dreams crushed five times at the weekend because I don't live in neither country, with three or four shops US or UK only. Which I don't get if I am buying something as cumbersome and inconvenient as a serial key... Free market and world yeah! Hey Joe I totally agree and we're working towards being more clear about region (but remember since we're stuck in NA it gets hard for us to check or grab info on all regions out there too). Either way, if you didn't grab BL2 Season Pass yet.. its on sale at GMG this week and it should work for EU and other regions. Unavailable to Canada. Product is not on Newegg's Canadian site, and checkout from American site fails. These codes only work for Mac. What are the codes for PC? The "Mac" Steam key is a SteamPlay title. Which means it can be play on any platform (PC or Mac). The average price for this game since released is $8.09. The game first became 50% off on Sep 25, 2010 at Microsoft. Lowest historic price was $1.99 on Jun 4, 2015 at Best Buy. Everything Borderlands 2 for only $12 at Mac Game Store. Better than the GOTY Edition which leaves out a few holiday DLCs and Ultimate Vault Hunters Upgrade Pack 2 - this Complete Bundle has all the DLCs. Editor's Note: This is a SteamPlay key. Works on both PC, Mac and Linux version without an issue. The average price for this game since released is $12.15. The game first became 50% off on Sep 12, 2014 at Mac Game Store. Lowest historic price was $9.50 on Mar 28, 2015 at Mac Game Store. It's been awhile but Borderlands 2 Complete Edition is now on sale again $11.99. This is a SteamPlay key that will work Windows, Mac and Linux OSes. Deal ends on Sunday. Deal's back. 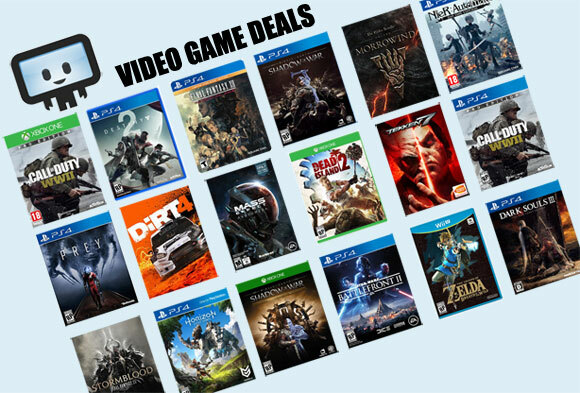 Almost everything Borderlands 2 for only $11.39 after coupon at Mac Game Store. This is a Steamplay key which works on PC/Mac without an issue. Last time we spotted this deal? Over a year ago back in 2016's Summer Sale! Now through the weekend Borderlands 2 Complete Edition slashed to $11.39 at the Mac Game Store. Despite the retailer name, Windows PC gamers can buy this just fine since BL2 is a SteamPlay title. This "Complete" version is actually better than the Game of the Year Edition we see go on sale time to time, since Complete has season holiday DLC and Vault Hunter 2 not included in GOTY. Borderlands 2 and all its DLC for only $10 at the GameAgent. This Complete Edition holds everything found in the BL2 GOTY and the missing DLCs like the Ultimate Vault Hunter Upgrade Pack 2. This game is Steamplay which means you will always get a Steam key that activates both the Windows, Mac and Linux versions. For 24 hours the Mac Game Store has the Borderlands 2 Complete Edition bundle for only $14.24 after coupon. While the Borderlands 2 GOTY is cheaper, this one includes a few other DLCs like the Ultimate Vault Hunter Upgrade Pack 2 and TK Baha's Bloody Harvest. If you've never tried Borderlands, especially as a co-op title with your gaming buddies, you're missing out. GMG's Borderlands Franchise Pack bundles both Borderlands 1 and Borderlands 2's respective GOTY edition for one simple $10.50 price. Steam key. The average price for this game since released is $13.65. The game first became 50% off on Apr 26, 2013 at Green Man Gaming. Lowest historic price was $7.22 on Apr 21, 2015 at NewEgg. If you've been waiting forever to get Borderlands 1 (GOTY edition) along with Borderlands 2 into your collection, now's the perfect time. NewEgg has a new price drop for $8.49 after coupon. I applied this coupon fore just Borderlands 2 and it worked! Got it for $10.87! GameFly bundled the PC download versions of Borderlands 1&2 for $20 in their Digital Summer sale. Borderlands 2 by itself is hard to find below $32, so a pretty solid value. Released on September 18, 2012, Borderlands 2 is the critically acclaimed FPS released by 2K Games and developed by Gearbox. Fans of the original Borderlands game will find much in common in this new entry in the series in terms of cooperative online play and other fundamental aspects of game experience. Borderlands 2 is somewhat unique in that it's not only an FPS but also an RPG of sorts. Characters are selectable and weapons are customizable. Random elements are integrated seamlessly into the game to yield an impressive array of possiblilities. Several DLCs are available for the game, including a Mechromancer Pack, the amusingly named Captain Scarlett and Her Pirate's Booty, Mr. Torgue's Campaign of Carnage, and Sir Hammerlock's Big Game Hunt. The DLCs include new campaign content and additional playable classes. The game receives impressive reviews from critics, including a 91/100 on PS3 from Metacritic (89/100 for Xbox). Less-than-stellar features lamented in positive reviews included a limited ability to customize visuals. While the game can be beaten in around 30 hours, it has solid replay value. Borderlands 2 won a slew of awards including "Best Shooter" and "Best Multi-Player Game" at 2012's Spike TV Video Game Awards.